I have been asked on YouTube what I thought about this 'tinted moisturiser', so after testing it out during my Santorini trip, I thought it was about time. Packaging to me is equally as important as the product. Afterall, what's a good product if the packaging doesn't protect it from leaking? 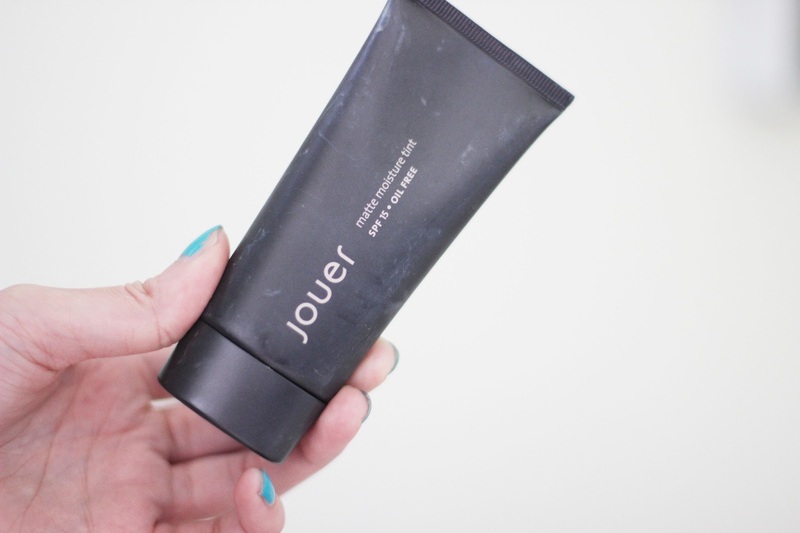 Having said that, I am pleased with Jouer's packaging. It reminds me very much of the Laura Mercier Silk Creme Foundation (this name will be coming up again in this post). Simple and minimal in a matte tube. I LOVE tube packaging. It makes me get more out of the product as I can easily cut off the end of the tube and scrape any remaining product out. In my opinion, the Matte Moisture Tint ('MMT')is not lightweight at all. Comparing it to lightweight foundations and BB creams, this really reminds me of the Silk Creme Foundation ('SCF') - both packaging and consistency-wise. I can definitely feel that there is something on my face. It's not tacky, but it is most definitely not weightless. Nourishing? Not for me. 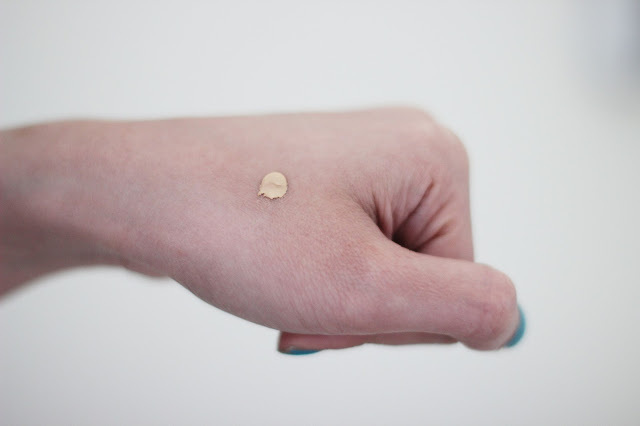 I have dry skin and I definitely think I should have gone for the Luminizing Moisture Tint. But I wanted to see for myself what the hype was all about, which was why I went with the MMT. This 'foundation' enhanced my dry patches especially around my nose and mouth area - not attractive. I have to say this foundation does blend extremely well. Along with my Real Techniques Expert Face Brush, coverage could be built up and the finish looks natural - but not flawless. It obviously depends what your skin is like - mine is recently very dry and uneven, which unfortunately the MMT enhances. Shine-free? Check. 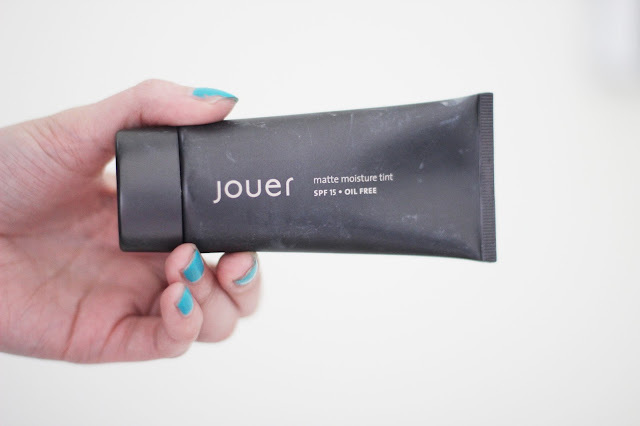 It most definitely leaves a very matte finish, but still manages to maintain the natural glow from your face. I personally prefer a more glowing, dewy finish though, so this foundation is not for me. As far as sun protection goes, who knows whether the SPF is effective or not? I always, and I have to stress this, I ALWAYS apply a sunscreen before my makeup, whether or not it has SPF in it or not. I cannot trust moisturisers/foundations with SPF, and would recommend not doing so. In terms of coverage, I'd like to mention that it provides great coverage for a tinted moisturiser. I have previously had no luck with bb creams or tinted moisturisers as I have very stubborn scarring from horrible allergic reactions. I always like to have flawless skin instead of natural looking skin, and when I'm just running errands I tend not to put anything on my face to let it breathe. I have to say that it provides medium coverage, nothing more and nothing less. And lastly, whilst I was in Santorini, this stayed on for... a while. I wasn't sweating much due to the lovely breezes (take me back to Santorini please! ), but it definitely stayed on for about 3-4 hours until it started to fade, blemishes started to reappear and my blush/bronzer was nowhere in sight. 3-4 hours.. long lasting to you? Let me know. I will not be repurchasing the MMT, but once I'm done with this I will definitely try out the Luminizing Moisture Tint. It will be better for my dry skin. However I can understand why this would be a holy grail product for oily skin! I really love this product! It is basically a foundation with the amount of coverage it gives.